Bacon has always been a staple in my diet and while in the past it has gotten a bad rep, I am glad that the whole keto/ancestral community has embraced fats like these back into our diets. Unfortunately, I have noticed that many people don’t utilize the rendered fat after it’s cooked. Growing up, my mom collected this stuff in an old coffee can and threw it out when it was full. Had I known what I know now, I would’ve made great use of this liquid (sometimes solidified) gold! Bacon grease can be used in so many different ways! It’s awesome for sautéing veggies and frying eggs! Some people even use it as a skin moisturizer (I haven’t). 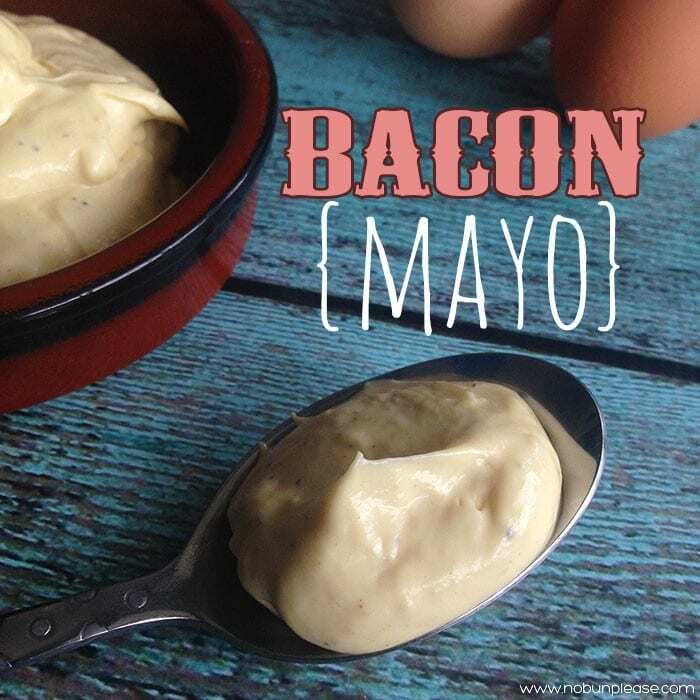 But my favorite way to use leftover fat is to make bacon mayonnaise! This stuff is delicious on just about everything. I love to mix it with hard-boiled eggs and bits of bacon for an out-of-this-world egg salad! Bacon Mayonnaise is awesome on top of a bun-less burger and also a great vehicle for veggies like celery and, broccoli and carrots. Just remember, when you make that bacon, don’t throw out that precious fat! Whisk together egg yolk, Dijon mustard, honey, lemon juice, salt & pepper. Add to liquified bacon fat. Store covered in refrigerator for up to a week. What is your favorite recipe using bacon? Comment below!